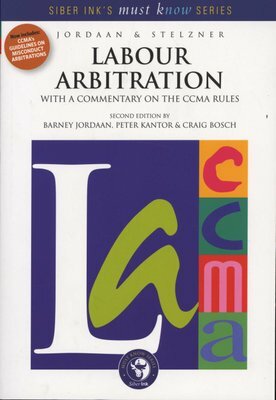 Practical advice on all stages of arbitration, from the pre-arbitration stage to the issuing of the award are covered as well as the basic legal principles concerning disputes over alleged unfair dismissal, the basics of the law of evidence and how to prepare for and present a case at arbitration. In addition to this there are sections on the pitfalls of the law of evidence, applications for condonation and reviews – these often being the very issues on which the Labour Court so often sees applicants in review applications being tripped up. 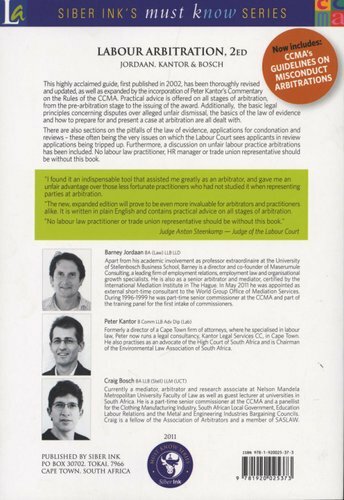 Furthermore, a discussion on unfair labour practice arbitrations has been included. No labour law practitioner or trade union representative should be without this book.